What science looks like at LSU. 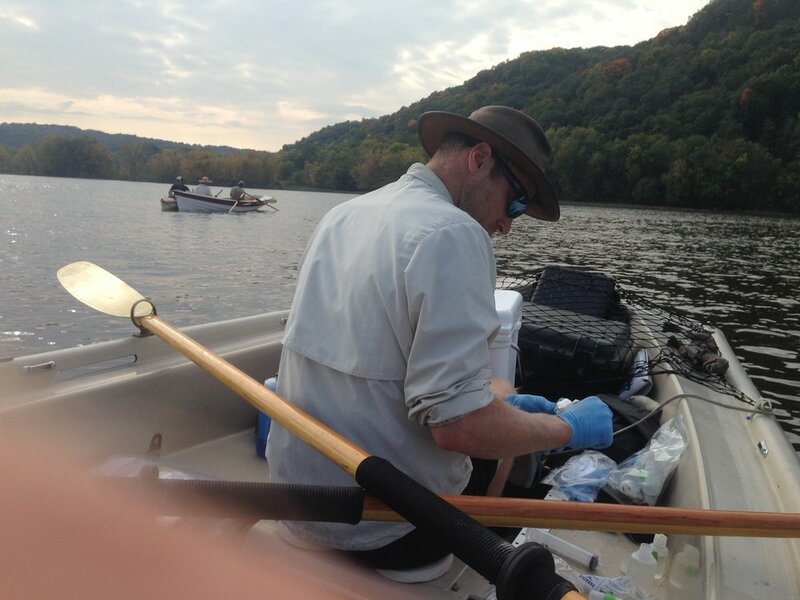 OAR Northwest rowers have been collecting water samples for analysis of microbes living in the Mississippi River. LSU microbiologists conduct tests on the water samples, for example extracting DNA. In this image, OAR Northwest founder Jordan Hanssen samples water from the river for the Thrash lab. "We use their DNA to figure out who they [the microbes] are and what they do." - Dr. Cameron Thrash. For the past four months a crew of four rowers and four shore crew members with OAR Northwest, a not-for-profit adventure education organization, have been on a journey of a lifetime on the Mississippi River. 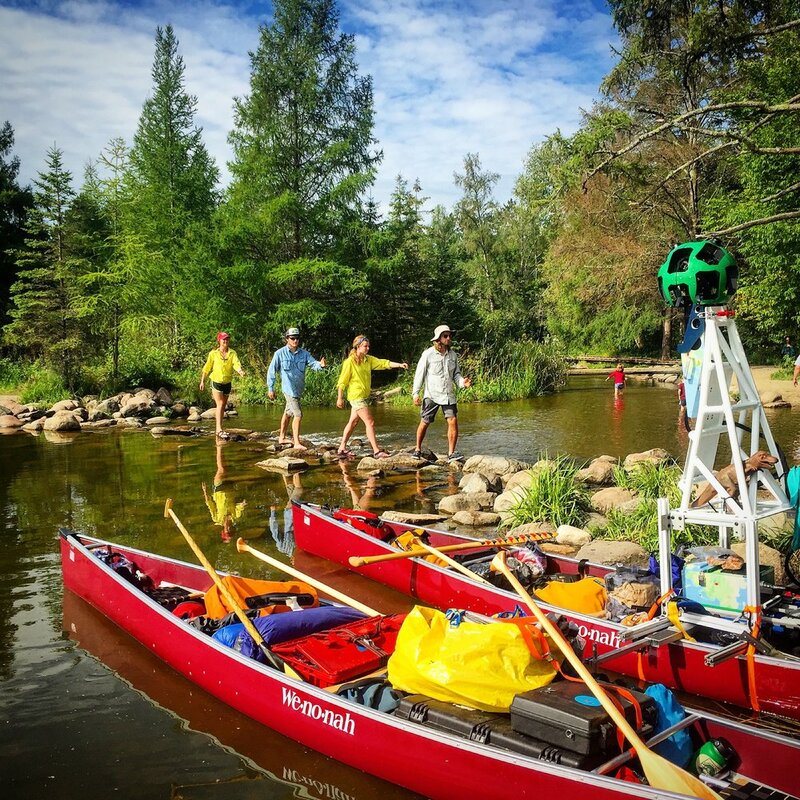 After over 100 days of rowing, the crew has traveled from the headwaters of the River in Minnesota to the Gulf of Mexico. They arrived in Baton Rouge on November 16, 2016 and spent a few days visiting LSU and talking to students about their journey. After months on the Mississippi River, OAR Northwest rowers Audra and Calli arrived in Baton Rouge. Researchers at LSU met the rowers near the new bridge to retrieve water samples the rowers had collected for analysis of microbe DNA. Photo by Dawn Jenkins. Just as the state of Louisiana has a special connection with the “Mighty” Mississippi River, the OAR Northwest rowing crew has a special connection with LSU. 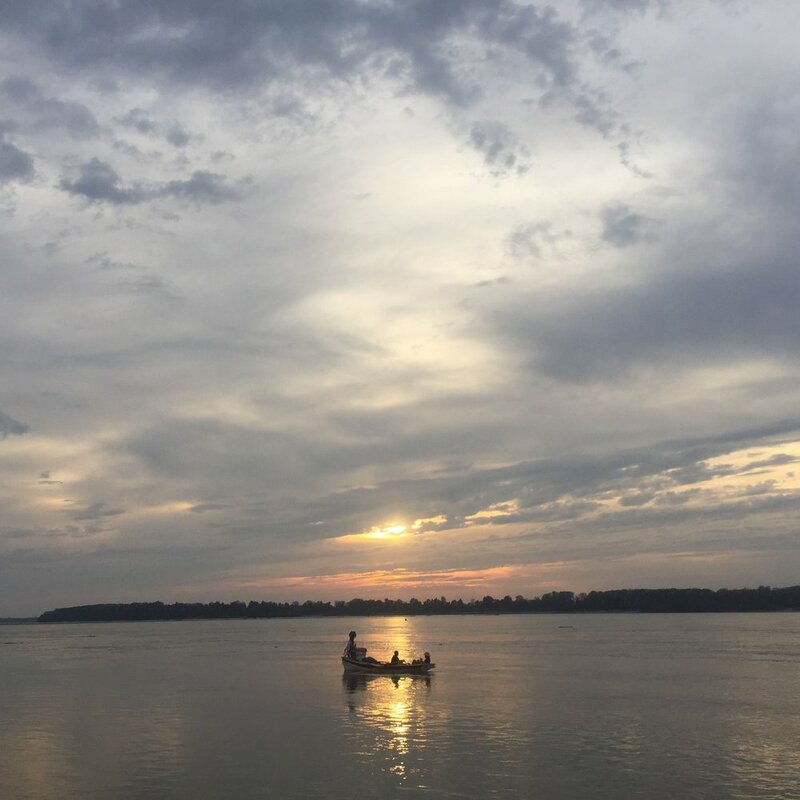 This is the second OAR Northwest Mississippi River adventure during which rowers have collected water samples for Dr. Cameron Thrash, an assistant professor in the LSU Biological Sciences department. Cameron’s research focuses on relationships between microorganisms and biogeochemical cycles, particularly in marine systems. Thanks to a relationship with the OAR Northwest team that started when founder Jordan Hanssen met Cameron’s family in Washington, and which has developed into an ongoing citizen science project, the Thrash lab is now building a complete microbial “map” of the Mississippi river. 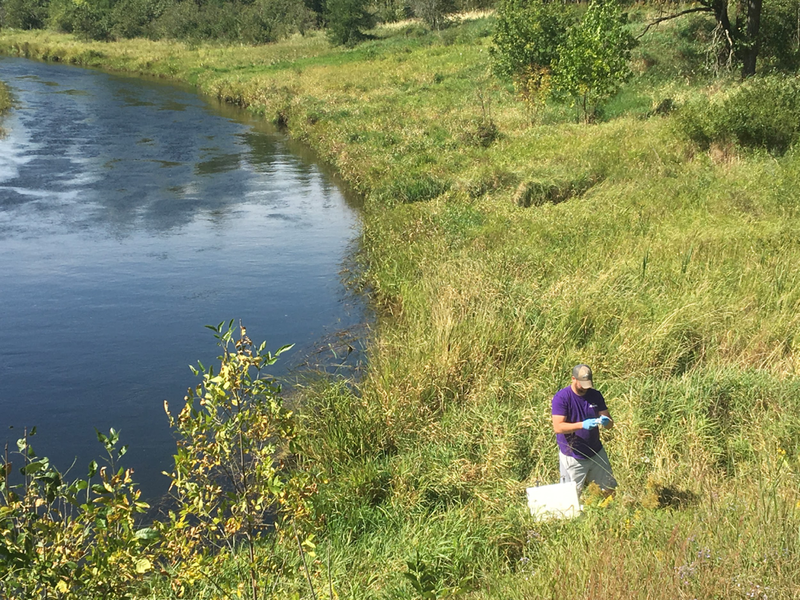 Read on to learn more about Cameron Thrash and the Oar Northwest team’s journey to document the microbes living in the Mississippi River, from headwaters to Gulf. Cameron Thrash shows the OAR Northwest crew around his microbiology lab. As they paddled, the OAR Northwest rowers conducted sampling in support of research on the microbiology of the river. Microbiology is the study of microscopic organisms, or microorganisms such as microbes. Microorganisms occur in vast numbers in almost any system (10,000-10,000,000 cells per milliliter of river water), conduct important chemical transformations of carbon, nitrogen, and other vital elements, and can contribute to remediation of pollutants. Microbial interactions with nitrogen and phosphorous have particular importance in the Mississippi River because farmland runoff of these nutrients transported by the river to the Gulf of Mexico contributes to a seasonal zone of low oxygen there termed the Dead Zone. Microorganisms also have tremendous diversity, and some types appear in greater or lesser abundances depending on their location, the time sampled, and because of many other environmental influences. To understand the role of microorganisms in a system, we can start by identifying how the presence and abundance of these different types relate to these different variables. However, these patterns have not been previously explored at a whole-river scale for the Mississippi River or any of the top 10 largest rivers in the world. In 2014 and 2016, the Mississippi River transects completed by OAR Northwest have generated the most comprehensive dataset of microorganisms in this system to date. My lab taught the rowers to use a simple sampling protocol that required no external electrical power and could be utilized by citizen scientists with no formal laboratory training. Rowers collected samples at dozens of different locations from Minnesota to the Gulf of Mexico, filtering water to capture microorganisms and capturing chemical and physical information about the river at each site. 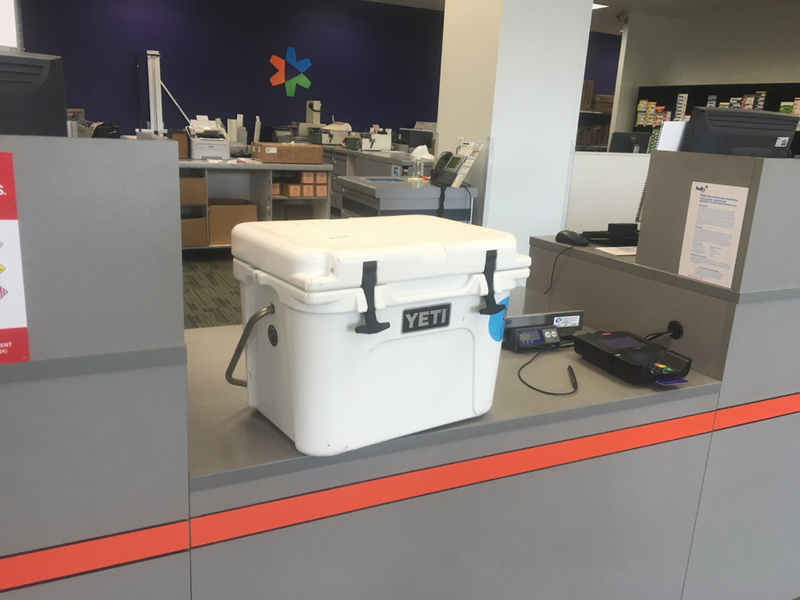 These samples were shipped to the Thrash Lab at LSU in temperature monitored coolers at pre-determined locations with the help of volunteers. At the same sites, rowers had new sampling supplies waiting. Audra, an Oar Northwest rower, helped collect water samples this year for microbial analysis in Dr. Thrash's lab. "Part of our mission as we row down the Mississippi river has been to take samples of the river for three different universities to better understand the composition of the river," Audra said. "Everyone in the group has to take part in these experiments and know how they work. This means that multiple times a week we have to lean over the boats and, using test tubes, mini bottles and other various filters and syringes I don't completely understand, get up close and personal with the river. Despite my initial fears and hesitations, I put on the gloves and picked up the test bottles. I quickly gained an important perspective on science. Science is not this big scary monster. The concept of science is actually quite simple. Science is really just asking questions and then making and testing predictions in order to better understand the world around us." Image compliments of Oar Northwest team. In the lab, graduate student Mike Henson processed the samples collected by the OAR Northwest rowers, extracting DNA and conducting cell counts. Chemical measurements were performed at the University of Washington. The extracted DNA provided sequence information for a gene common to all organisms. This acts like a barcode so we can determine the specific organisms in a given sample. We then analyzed all the different variables together to generate a picture of how the microbial communities changed from site to site along the river. The 2014 data shows a major change in microbial communities at the confluence of the Missouri river. This corresponds to a dramatic increase in river volume and a change in the Strahler river order from 8 to 10. Generally, above the Missouri, the river has continual increases in turbidity and the important eutrophication nutrients nitrate and phosphate. [Eutrophication stimulates an explosive growth of algae that depletes the water of oxygen]. Below the Missouri, the river appears to be much more stable in terms of nutrient concentrations and a “core” community of microorganisms, or microbiome. With co-occurence analyses, we identified several organisms that strongly correlated with increased nitrate or phosphate. This gives us potential biological indicators of ecosystem health. Microbe sampling sites from the 2014 OAR Northwest trip down the Mississippi River. Image via Cameron Thrash. Overall this data provides the most extensive description of Mississippi River microorganisms to date, and constitutes the largest whole-river-scale microbiological transect yet performed - and all with human-powered vessels. It also raises many questions. What drives the change in microbial communities at the Missouri River confluence? What role does carbon from the sediment and the land play in determining microbial community membership? Are indicator taxa involved in nitrogen and phosphorous removal? How do these patterns change between seasons and across years? The Thrash Lab will pursue answers to these and other questions with future research. Thrash lab grad student Mike Henson takes samples along the shore as rowers sample in the river.